Have not been posting since April. That same month I decided to start updating my blogs from my mobile phone. 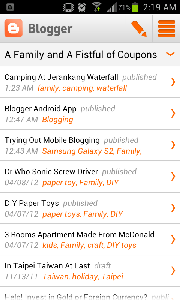 I downloaded a mobile app called Blogger-droid. Was pretty pleased with it; that is until I found out about it's highly intrusive mobile ads system. And I mean irritatingly so. Uninstalled it and have not been blogging since. The funny thing was that I was not aware that Google had a mobile app for Blogger. I remembered searching for it in the marketplace but it was not available. Not sure why. Anyway, long story short, I found it today. Hence this post. So, here is another attempt to kick-start my blog updates. 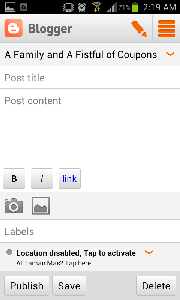 Btw, Blogger's mobile app is called Blogger.